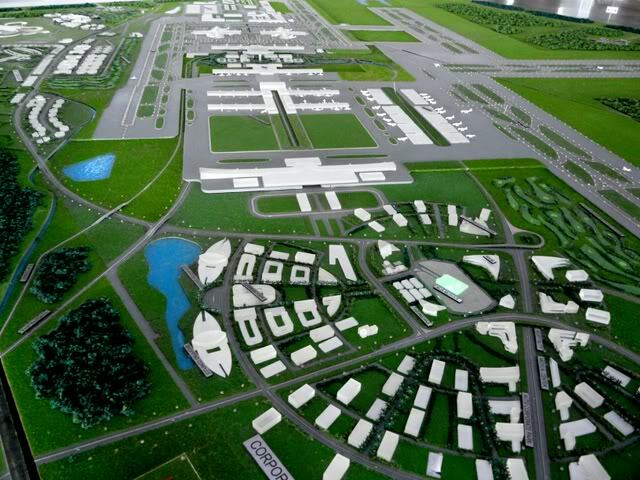 Malaysia Airports Holdings Bhd (MAHB) has mapped out a big plans to transform 1,000 acres of empty land near Kuala Lumpur International Airport (KLIA) in Sepang with the potential of generating RM7bil in investments over five years. Managing director Datuk Badlisham Ghazali said the KL International Airport (KLIA) Aeropolis would be developed through three key clusters namely, Air Cargo, Logistics, Leisure, business and aviation parks as well as Events (MICE), Conferences, Meetings and Incentives. Especially, the 60 percent of the project will be planned for the airport and aeronautical use, with KLIA as the centrepiece. All the rest would be special design for a theme par, KLIA Cargo and Logistics Park, a core commercial area, a business park, an KLIA Aerotech Park, an aeronautical support area, as well as zones for leisure and amusement centre. Additionally, the KLIA Aeropolis development project, is expected to attract a gross domesstic product (GDP) contribution of around RM 30b to Malaysia’s economic up-growth in a 15 years period, with generate about 56,000 jobs. “KLIA Aeroplis plan would serve as the core of a Malaysia Airports’ air cargo and logistics ecosystem that extends to Penang and Sabah and Sarawak,” said by Malaysia Airports Holdings Bhd (MAHB) Managing director – Datuk Badlisham Ghazal. Moreover, KLIA Aeropolis plan is expected to stimulate KLIA’s cargo capacity from about 726,000 today to between 2.5 million and 3 million tonnes by 2050.